Finishing up February is amaranthine. This adjective lends a beautiful, ethereal feel to the concept of endless time. 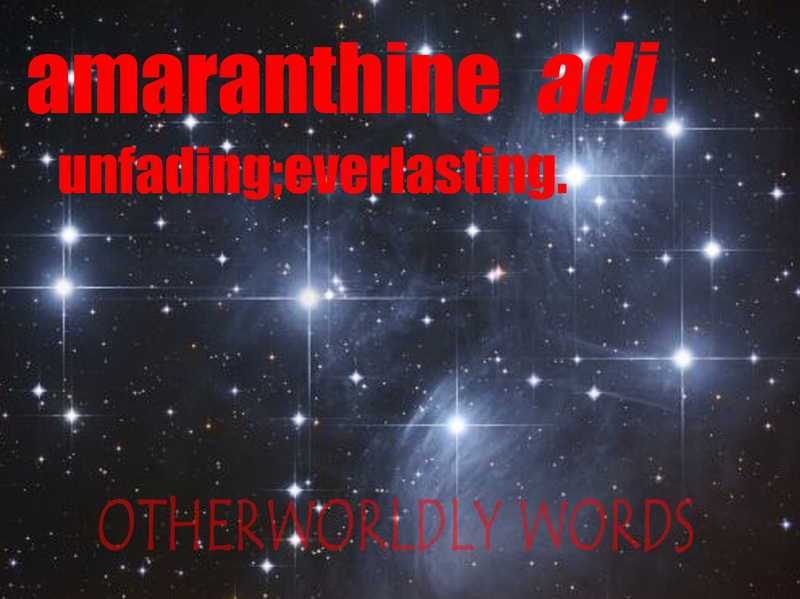 Amaranthine is derived from the myth of the amaranth, the legendary undying flower. Of course, amaranth is a real family of flowers, too, and a grain alternative. All this month, I have introduced and discussed words dealing with the leap year, as a playful take on February’s benefiting from the every fourth year phenomenon. Such a beautiful word. I’d long known about the flower, but only recently learned about this particular definition. I love it! Glad you enjoyed it. This is one of my favorite words. 🙂 Thanks for taking time from your day to comment!